Q. Examine the macroeconomic implications of a significant fall in UK House prices, combined with a simultaneous loosening of Monetary Policy. Q. What is the impact of higher interest rates? Higher interest rates increase the cost of borrowing. As a result, those with mortgages will have lower disposable income. Also, consumers have less incentive to borrow and spend on credit cards. Therefore consumption will be lower. 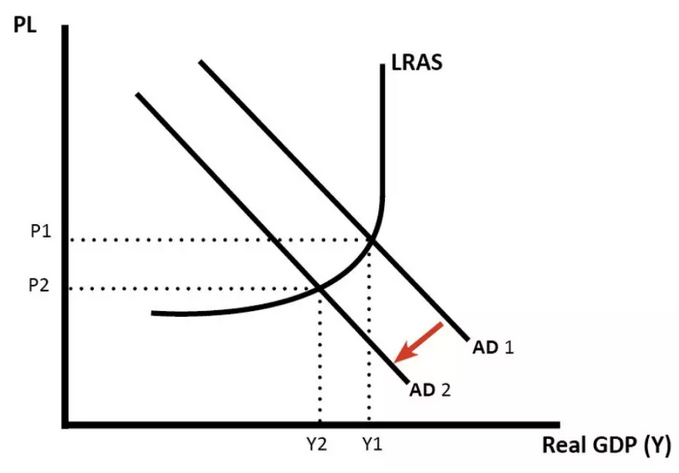 This fall in consumption will cause a fall in Aggregate Demand and therefore lead to lower economic growth. A fall in AD will also reduce inflation. Discuss the impact of Euro membership on UK fiscal and monetary policy?